And the TimeOut KL Best Independant Restaurant Award 2010 goes to……. A pretty impressive feat for a restaurant that started slightly less than a year ago. 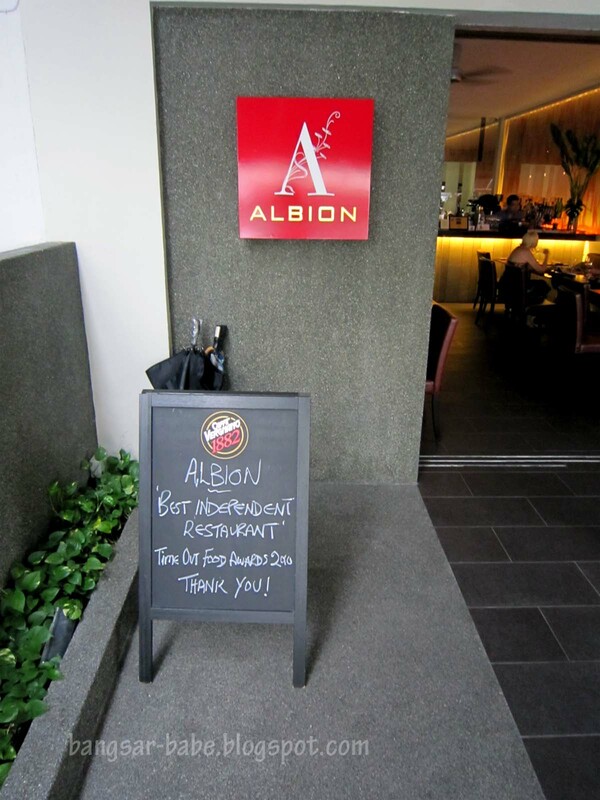 Albion was also short-listed for Best New Restaurant award. 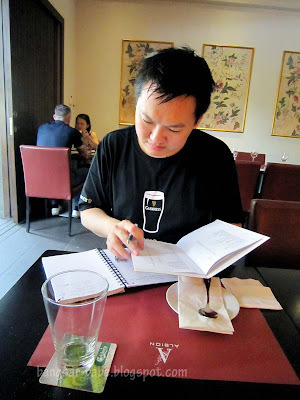 Partners James Grierson and Colin Yap (who is also the head chef) invited Tim and I over for lunch on Sunday. Obviously, I say yes. Come Sunday, we were comfortably seated at Albion, browsing through the menu. I had the impression that the food was going to be pretentious or showy. 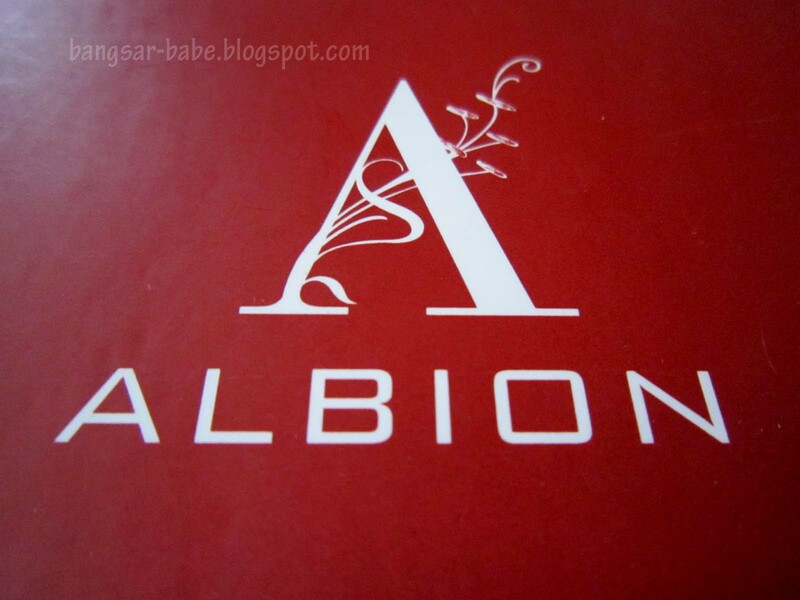 My assumption of the Albion was quickly proven wrong when I saw the place and the menu. Albion is a modern British restaurant and bar, which feels like a bistro. 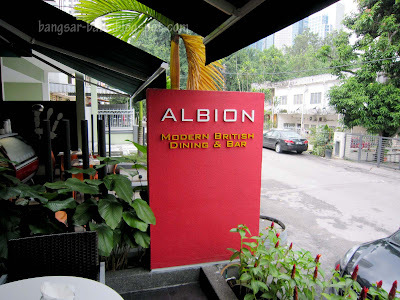 Some claimed that Albion’s Sunday Roast (RM39) is the best they’ve had in Kuala Lumpur. 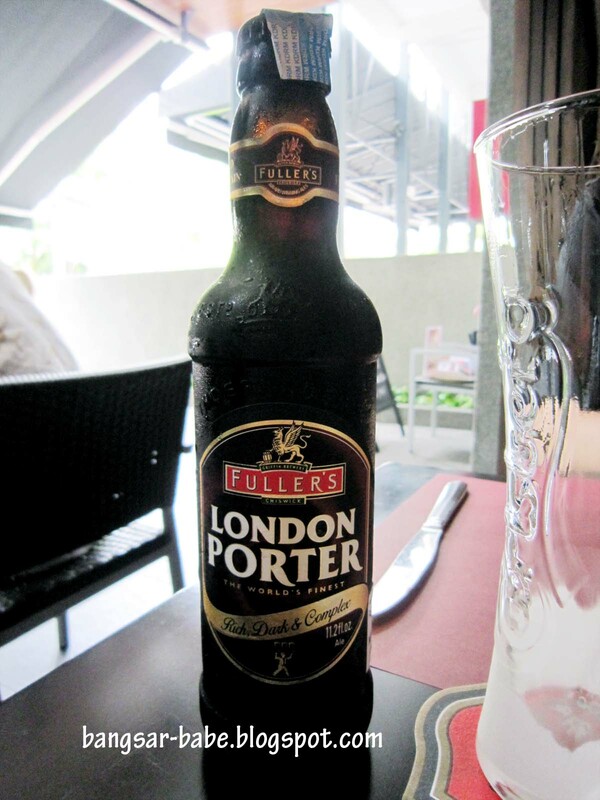 When we enquired, the waiter told us there were only three servings left. We quickly “booked” one. I initially wanted to order the slow roast belly pork, but it wasn’t available. So I had the Steak & Guinness Pudding (RM38) instead. 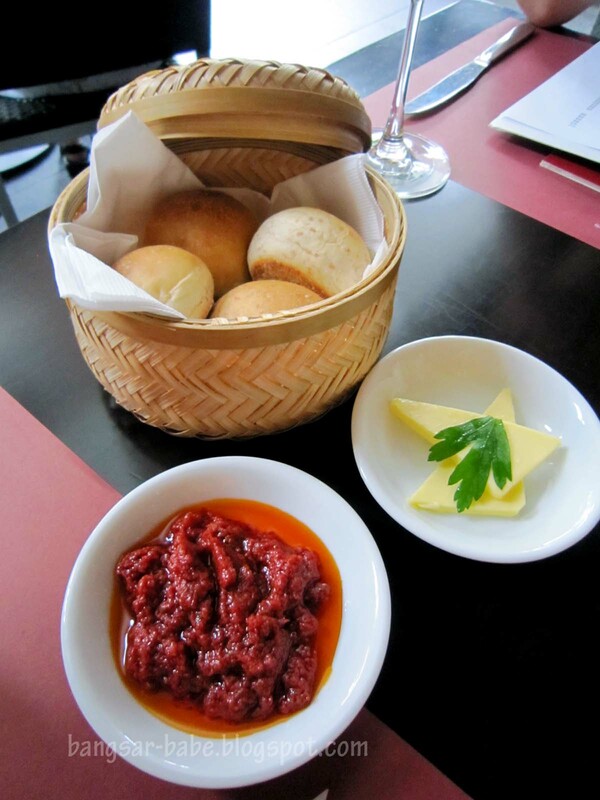 Lunch started with a basket of fluffy bread served with butter and a flavourful sun-dried tomato dip. It is easy to find steak pies at restaurants, but pudding isn’t something I come across very often. This was beautifully presented. 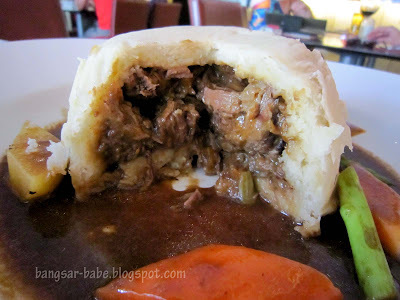 I peered inside the pudding and found generous chunks of beef, mushrooms and carrots in thick gravy. 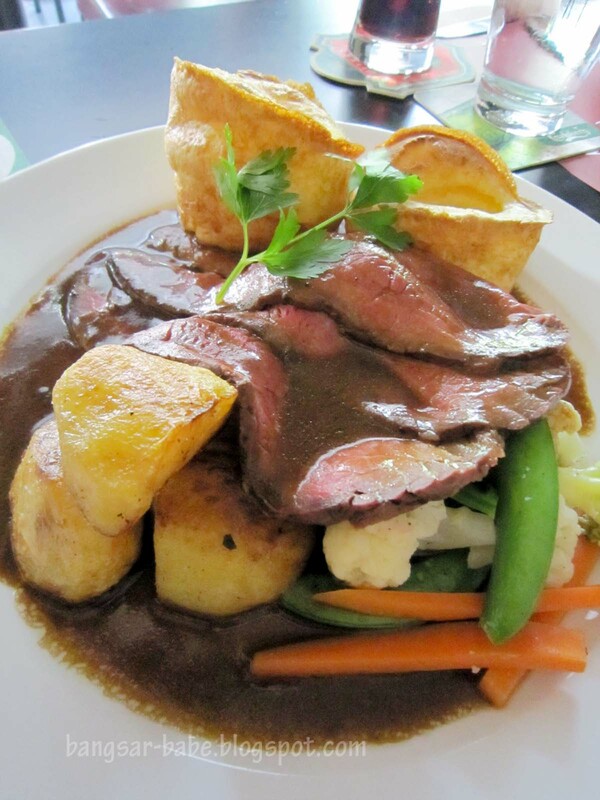 The beef was braised till fork tender and well-infused with the caramelised Guinness and stock. 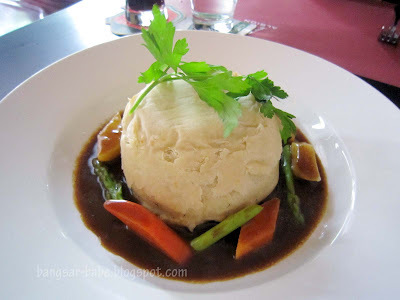 I liked how the fluffy pudding soaked up the rich, beefy gravy. It was good stuff. British cooking tends to overcook the vegetables, but at Albion, the vegetables were still crunchy and sweet. A smear of mustard and horseradish, and I was transported back to UK…until Tim bombarded me with his never-ending questions LOL. The Iced Cranachan Parfait (RM18) was a modern version of the traditional Scottish dessert, originally served at harvest festivals. Pretty as a picture, and delicious too. It comprised lightly toasted oatmeal, egg yolks, whiskey and cream, with honey as a sweetener. 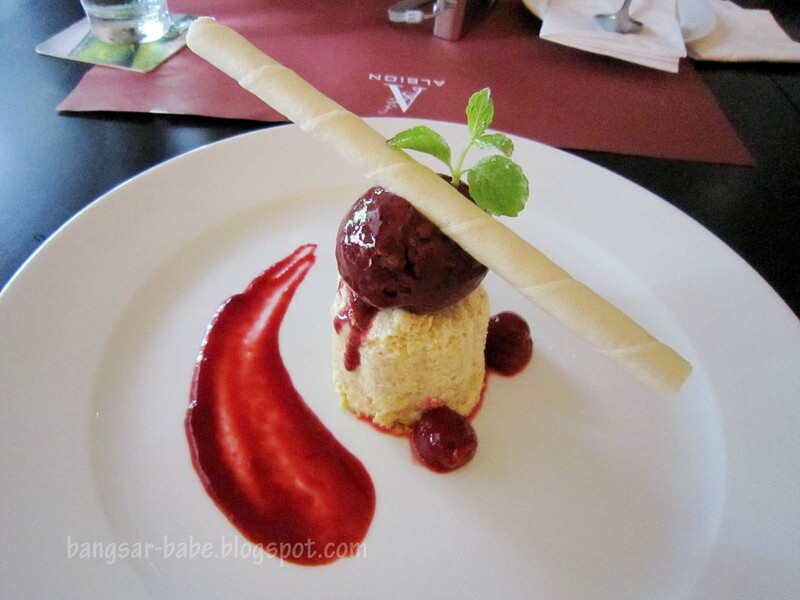 The tart flavour of the berry sorbet complemented the creamy texture of this frozen dessert. If only oats taste this good and alcoholic – I would gladly eat this EVERY DAY. Lunch was good. I overheard the next table saying the Ballotine of Chicken and Pork Tenderloin were very good. Thank you James and Colin, for the invite. I had a wonderful time! 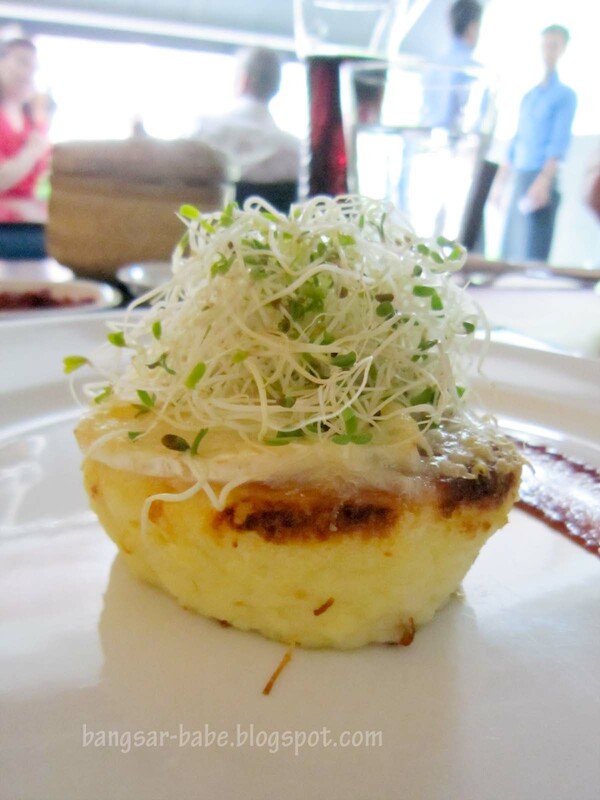 Verdict: Good food, good portion, chilled out ambiance and reasonable prices. I was happy. i hope they do well, went once on a wkday and it was empty the whole nite! the food was good! ooh, that guinness pudding looks intriguing. 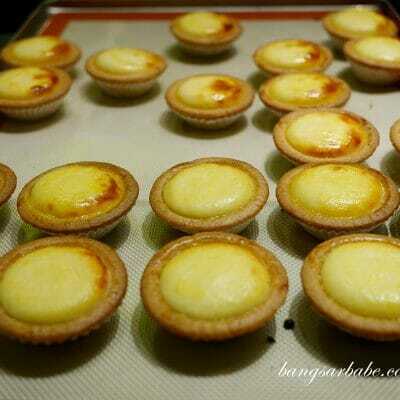 what is the outer pastry like? it looks like our tai pau…bready. is it? how much is the roast? is it only avail on sundays? 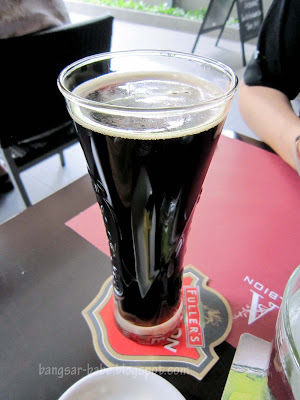 FBB – It's flaky, like an egg tart crust. Don't have pau texture, but it is quite doughy. Texture is light too. 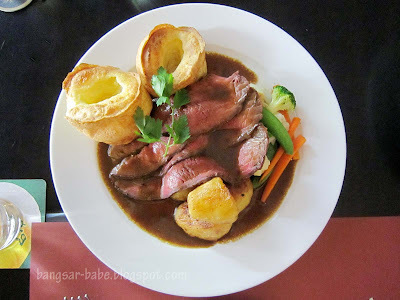 The Sunday Roast is RM39. Yup, it's available on Sundays only. Joe – I think they're doing quite well. Because I was there at 1pm till 5-ish. Almost all the tables downstairs were occupied. And when I left, there were two tables still eating/drinking wine. foodbin – Yeah…it's worth trying! Looks good for a try esp the pudding. 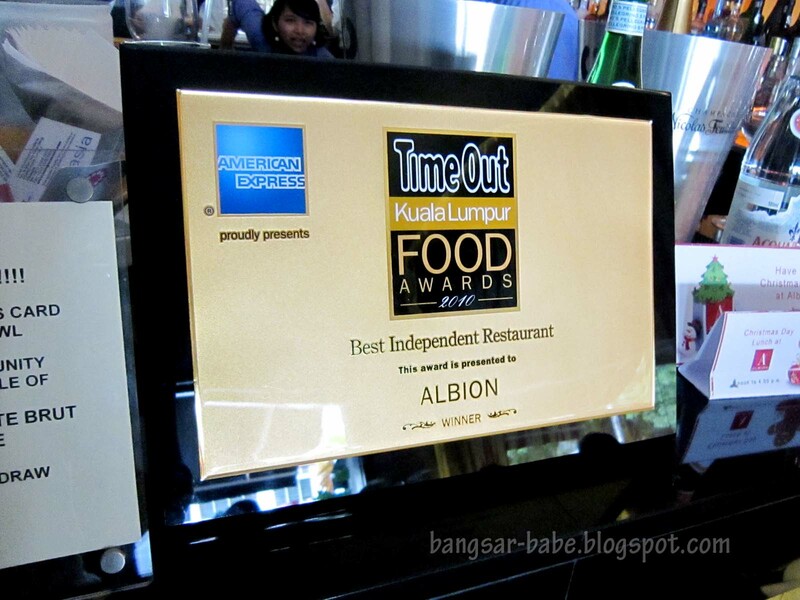 I was going through Tripadvisor’s “KL ranking”, and this place featured pretty darn high (single digit!). What about lunches or dinners? 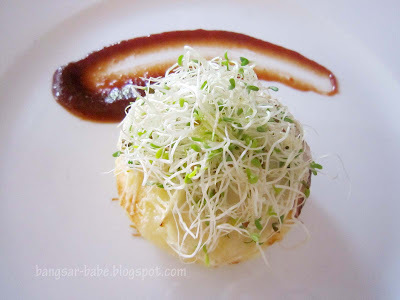 Any strongly-recommended dishes? Or should I stick to … CILANTRO?